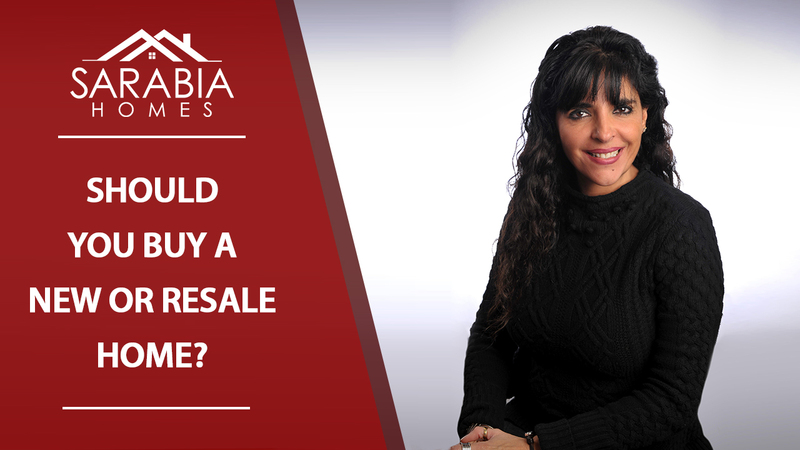 Need help deciding whether to buy a new home built just for you or a resale home? I’ve got some points to think about to help your decision-making process. Since I’ve been working very closely all of 2017 with a lot of builders, I wanted to start a new series called “Buying New.” The first topic of this new series is how to decide between buying new property or resale. I have some interesting pointers that can help you make that decision. The first thing that you would have to consider is if you want to live in a new house that you helped design. Nothing compares to coming into a brand-new house and using everything for the very first time. However, there may be some instances where location is much more important. The particular area you’re looking at may not have any builders. What do you do then? You would need to consider buying a resale home. Along with that, you’ll need to think about the costs of the renovations that you’re looking to do, the resale value should you want to sell that home in the future, and all the perks of buying from a builder that you will lose. What I mean by ‘perks’ is that usually when you’re buying through a builder, specifically if you’re buying an inventory home, you have all the advantages as the buyer. The builder is probably motivated to get this property out of their inventory, and they may offer such perks as discount points on your loan, additional inclusions such as window coverings or water softener, or various other inclusions that they use as motivators and incentives to you. Something else that I think is important to consider are the standards of building that you’re looking for. Obviously, a new home will have better energy efficiency, security systems, and other such features that a resale home may not necessarily have. The last point to consider would be the replacement cost. At the end of the day, the younger the house is, the better resale value it will have compared to a used home. compared to a used home. Now, real estate is a hyperlocal thing, so there may be some instances where a really well-established division is a lot more desirable than a brand-new subdivision. If you’re on the fence and don’t know exactly what you want to do, just give me a call or send an email, and I’ll be able to walk you through south Texas’ best builders and help you find the house of your dreams—whether it’s a resale or a new home. We’d love to help you out.